Described by the tribunal as a “modern business phenomenon”, Uber has around 40,000 drivers in the UK, with 30,000 drivers operating in the London area and around two million passengers registered to use its service there. In a judgment handed down on 28 October, an employment tribunal has held that Uber drivers are “workers” and not self-employed contractors (Aslam and Others v Uber BV and Others). It means that Uber drivers are entitled to rights applicable to “workers” – an employment status which is different to “employee” and “self-employed”, and defined in S.230(3)(b) of the Employment Rights Act 1996. Broadly speaking, workers are entitled to rights under the Working Time Regulations (such as paid annual leave), the national minimum wage (and living wage) and protection in respect of whistleblowing. Workers do not have employment rights applicable to “employees” such as protection from unfair dismissal (after two years’ service) and the right to a statutory redundancy payment, amongst others. The claims were brought by current and former Uber drivers and largely related to failure to pay the national minimum wage and holiday pay but two drivers also made claims relating to whistleblowing. The drivers claimed that, in numerous different ways, Uber instructs, manages and controls the drivers. are discouraged from displaying Uber branding and do not wear uniform. What did the tribunal think? It was “unreal” to deny that Uber is in the business of supplying transportation services and the tribunal held that “simple common sense argues to the contrary”. The tribunal further noted that Uber’s arguments did not match the language that Uber generally used in publicity and other correspondence: referring to “our drivers” and “Ubers” (meaning the vehicles). Drivers are not obliged to switch on the Uber App or to accept jobs offered. There is no contractual obligation to provide driving services when the App is off and so the tribunal felt that it was “self evident” that there is no overarching “umbrella” contract during such periods. However, the tribunal’s legal analysis of the situation when the App was switched on, was somewhat different. Their view was that: a driver with the App switched on, in the territory in which he is authorised to work, and able and willing to accept assignments, is, for as long as those conditions are satisfied, working for Uber under a “worker” contract. Details of the contractual documentation between Uber and the drivers and passengers respectively is helpfully set out at paragraphs 28 to 38 of the judgment and makes interesting reading for anyone dealing with these kind of tripartite working arrangements. The dcouments were described by the tribunal as containing “fictions” and “twisted language”, terminology which “merits…a degree of skepticism”. Uber was described as going to “remarkable lengths” to compel agreement with its descriptions itself with that of the legal relationships with its passengers and drivers. Uber had boasted of providing “job opportunities” and potentially generating tens of thousands of jobs in the UK, in submissions to the Greater London Authority Transport Scrutiny Committee. Uber’s general case and its written terms do not correspond with the practical reality. Contrary to assertions, Uber did not help the drivers to “grow” their business and could not be described as giving them “leads” as they could not take the lead and negotiate themselves to strike a bargain. Drivers are offered and accept trips only on Uber’s terms. whose identity they do not know and would never know, to undertake a journey whose destination the driver would not know until the beginning of the journey, taking a route prescribed by a non-party to the contract (an Uber entity), from which the driver cannot depart without risk, for a fee he has not negotiated and which is not paid directly to him - was considered absurd. Uber interviews and recruits drivers. Uber controls key information as to the passenger’s identity and intended destination and does not share this with the drivers. This was a “dependent work relationship” and not a contract at arm’s length between two independent business undertakings. Drivers do not market themselves to the world in general – they are recruited by Uber to work as integral components of its organisation. Uber reserves the power to amend its terms unilaterally. Uber handles complaints, including complaints about the driver. Uber accepts the risk of loss, not the driver. The guaranteed earnings scheme (this is now discontinued). Uber determines issues of rebates without involving the driver whose earnings may be affected. Uber’s ratings system amounts to a performance management/disciplinary procedure. Conditions imposed on drivers including the limited choice of vehicle. Fares are not fixed by the driver. Uber sets the default route and the driver departs “at his peril”. Drivers who breach requirements on accepting trips are logged off the App – to enforce requirements. The tribunal considered that part of the problem stemmed from the unequal bargaining positions of the parties, noting that many Uber drivers do not have English as a first language and will not be accustomed to interpreting “dense legal documents couched in impenetrable prose”, a similar issue in the earlier Autoclenz v Belcher case which reached the Supreme Court. In terms of the drivers’ working time, the tribunal found that “working time” starts as soon as the driver is in his territory with the App switched on and is ready and willing to accept trips, i.e. the driver is at Uber’s disposal and carrying out his activity or duty during any time when all of these conditions are met. What is the impact of the decision? Uber has confirmed that it will be seeking to appeal the decision and it is likely that appeals will be pursued on this point as far as possible. 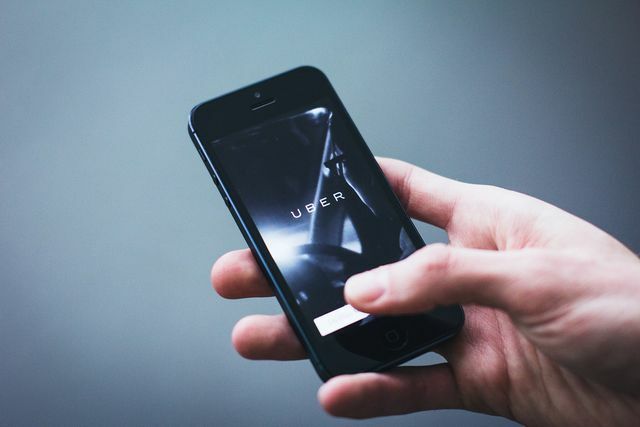 However, this first instance judgment provides a detailed analysis of the contractual terms and commentary on Uber’s working practices which will serve as a lesson for other businesses operating in the gig economy. Those who are treated as “self-employed” in similar circumstances may be more likely now to bring claims relating to worker status. A point to note is that Uber may have simply got it wrong – the tribunal stated that nothing in its reasoning should be taken as doubting that that Uber could have found a model which meant that it was not engaging worker drivers. Uber’s chosen model “failed to achieve that aim”. If you have contractors, consultants and casual workers, this is a good time to review the workforce and to consider the employment status of each individual providing services. Remember that the reality of the working practices will be scrutinised as much as the contractual terms – which may just be set aside, as Uber has discovered. The Uber ruling could force a rethink of the gig economy business model, where companies use apps and the internet to match customers with workers. The firms do not employ the workers, but take commission from their earnings, and many have become huge global enterprises.